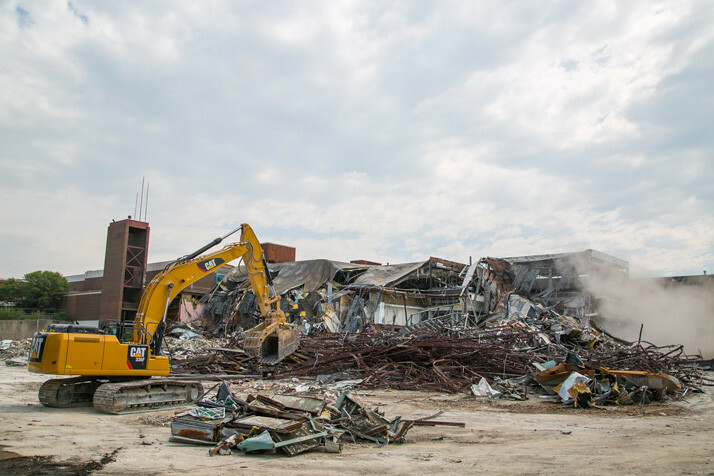 Demolition crews tore down the vacant Metcalf South Mall in 2016. Traditional indoor malls have been coming down across the country, replaced in many instances with mixed-use developments. The questions never fail to come up when people come to city councils to share their views on the latest development plan: How can [insert your city’s name here] even consider tax incentives to build retail? Isn’t retail dying because of the internet? Isn’t there too much retail space in the area already? The answer, according to local developers and real estate analysts, appears to be no. Despite a steady drumbeat of predictions about the death of retail, developers continue to get those projects approved. Overland Park officials are currently considering retail for The Edison District project downtown and for CityPlace near College Boulevard and U.S. Highway 69. The Brookridge redevelopment proposal continues to kick around city hall. And it’s doubtful those will be the last. “Real estate isn’t as cut-and-dried as a lot of people think,” said Brandon Buckley, vice president of LANE4 Property Group. Like other developers, Buckley doesn’t believe retail is dying. Just changing. “I still think the market is healthy. Some asset classes will be looked at differently than others,” he said. Big box retailers might be on the wane now, but “people are not going to stay in their homes and not experience the outside world,” he said. Nordstrom will be leaving Oak Park Mall for the Plaza in 2021. Photo credit Mike Kalasnik. Buckley’s optimism is rooted in developers’ ability to adapt to the profound changes in spending habits that began with the Great Recession, he said. Retail stores have been on wobbly footing for a while. The last couple of years have seen a flurry of closings and faltering bottom lines. Sports Authority, once a presence in Overland Park, is now out of business. The Toys R Us Overland Park store also made the closings list. And just for good measure, Nordstrom announced it would leave Oak Park Mall to concentrate on a Country Club Plaza location. “Retail apocalypse” was the term being thrown around by national media last year to describe what was happening. The first culprit named was the prevalence of online shopping. While big clothing stores like H&M were struggling with backlogs of unsold merchandise, Amazon was increasing its presence, and holiday spending online seemed close to eclipsing trade in the brick-and-mortars. But the internet sales alone weren’t enough to cause those store closings and dire predictions. There was also, according to experts, a big surplus of retail space built from the 1970s through the 2010s, when malls were going up faster than the population growth. Johnson County has almost double the amount of retail space per person as Jackson County, and even more than the United States as a whole. But other metrics shine a different light on the county’s retail situation. Newmark Grubb Zimmer’s retail report for the first quarter of this year called the local market “sound,” as the vacancy rate decreased and average rental rate increased from a year ago. Block Real Estate Services had a similar point of view in its wrap-up of 2017, citing Mission Gateway, Regency Park in Overland Park and Lenexa City Center projects in progress. Developers cite Overland Park’s Top Golf as the type of “experiential” offering currently in demand. 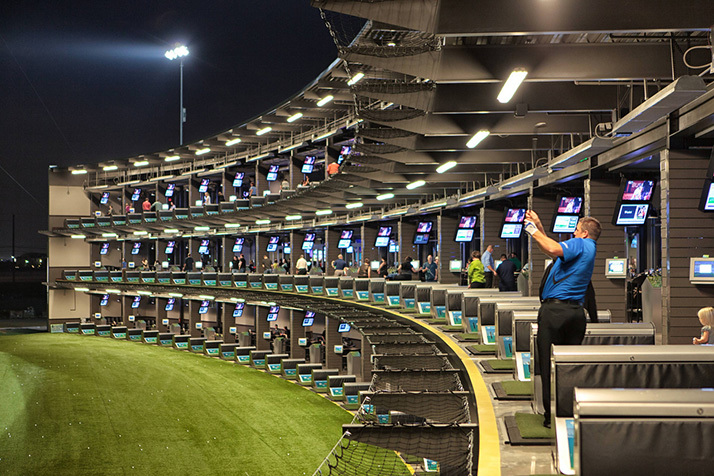 Photo credit Top Golf. While retail in general may be overbuilt, developers say they pay more attention to the demand for small, specific areas. There’s still plenty of demand, they say. But it’s for a different type of retail. Since the end of the Great Recession, buyers, particularly millennials, have changed their focus. Instead of “stuff” buyers now want an experience – a restaurant, entertainment or unique type of buying experience, said Buckley. That can mean a food hall filled with local restaurants or food truck startups, a technology or game-playing spot or some kind of entertainment venue, he said. “It’s the Top Golfs of the world, who are able to take relatively ordinary driving range and make it into an experience,” said Buckley. It also means that the stereotypical Johnson County shopping center could one day look very different, as large retail anchor stores begin to fade. “Today big box stores are being replaced as the anchor in development models with restaurants, mid-sized retailers and most importantly, other uses besides retail to provide traffic through a longer portion of the day,” said Grant Curtin, associate of Curtin Property Co., which is working to redevelop Brookridge, in an email. “For these reasons data points such as vacancy rates, retail square foot per capita etc are becoming outdated when you look at retail as a whole,” he continued. If the big anchors aren’t bringing people in, developers will adapt with a different tack, said Curtin. Increasingly that means mixing things up so there are a variety of different things within walking distance. “As a mixed-use developer, we don’t look for low retail vacancy in a market and decide to build retail. We instead look for demand for the other uses around the retail that will help support the retail themselves,” Curtin said. The Edison District mixed-use project would bring new office, retail and restaurant space to downtown Overland Park. Mixed-use type development draws people throughout the day, said Buckley. “People love to be very close to a restaurant or a place to work out or maybe their own office,” he said. Often the retailers are smaller mom-and-pop stores with owners who are passionate about what they do, he said. Add some aesthetically pleasing elements like patios and the space becomes more of an experience. That’s not to say that all mixed-use projects have been problem free. Initial underperformance at Prairiefire in Overland Park – a problem blamed mostly on past issues with what movies the theater could book – meant a scaling back in the next stage of the development. And the Mission Gateway project has taken more than a decade to get underway as its developer looked for tenants, financing and city approval. Still, developers continue to search for just the right mix of “live, work and play” that will draw people and keep them spending. “The general public tends to like mixed-use. It’s usually a little more interesting than the suburban big box development,” Buckley said. So the empty square footage of a big box store is really an opportunity for some other use to come along and absorb it, he said. “It’s an opportunity for something new and cool to go in,” often run by smaller local businesses. That’s happening around the country, as older malls transform to medical office sites, Buckley said. Locally, the former Great Mall of the Great Plains site in Olathe is being proposed as a mixed-use development oriented toward fitness. The departure of Nordstrom from Oak Park Mall will be a challenge, he said. As with other big spaces, the new tenant may be a departure from the traditional mall retail tenant people have come to expect.